Public Works Dallas is a groundbreaking, participatory theater project produced in collaboration with the Dallas Theater Center and modeled after the wildly successful Public Theater program in New York City Throughout the year, SMU Meadows students conduct acting workshops with community members, serve as production assistants, and assist with marketing and volunteer efforts in support of a marquee production at the Wyly Theatre in the Dallas Arts District. 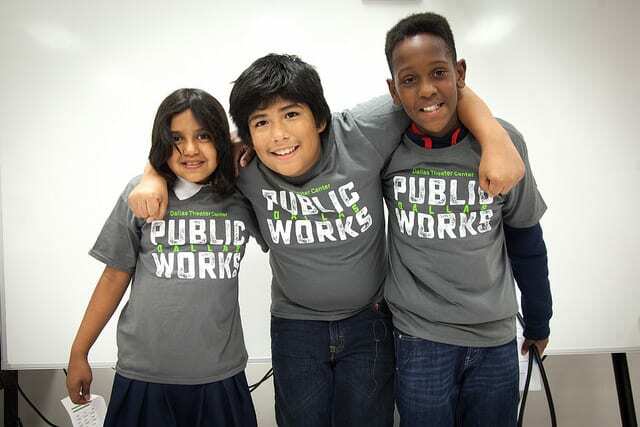 Now you can support Meadows students working as Public Works Dallas fellows. Share with your friends. All public social media posts made on March 7 using #MustangsGiveBack will be entered to win a $200 Visa gift card! $50 (or more) donations will also get you special “Thank you!” rewards.